Just about all of us experience some form of workplace stress. Whether it’s tight deadlines, bringing in sales, or dealing with upsetting situations, stress at work is generally regarded as a normal part of daily working life. However, for many people, work stress can be so intense or commonplace that it adversely affects your wellbeing. Worksafe Victoria describes workplace stress as the physical, mental, emotional and behavioural reactions of employees who perceive that their work demands exceed their abilities and/or resources to cope and do their work. 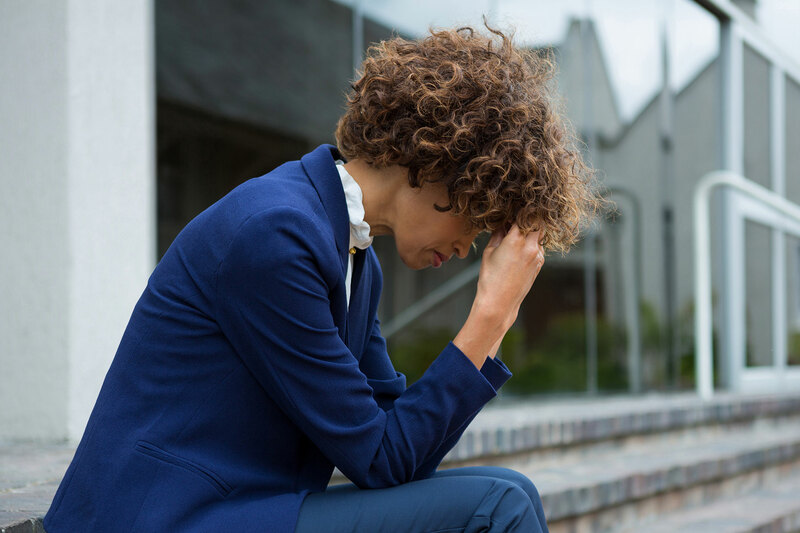 The overwhelming or inescapable feeling of being stressed from work can reach a point where it can start to adversely affect your mental health. Anxiety, depression, mood swings, aggression or an inability to concentrate are just some of the many symptoms of workplace stress. In many cases, workplace stress symptoms can also manifest physically as muscle tension, headaches, insomnia, stomach problems and many more ailments. Workplace stress costs individuals and organisations. According to one estimate, the annual cost of work stress to Australian organisations is an incredible $10 billion. According to the Victorian Government BetterHealth website, work-related stress is “the second most common compensated illness/injury in Australia, after musculoskeletal disorders.” Indeed, it is thought that 3.2 days per worker are lost each year through workplace stress. People suffering from the effects of stress are unmotivated and burnt out, and therefore less productive than those who are happy. So what can be done about it? Many people feel they don’t have much control over workplace stress, yet there are a number of simple things you can do to destress. The numerous mental health benefits stemming from exercise are well documented. Being physically active doesn’t necessarily require bench presses in the gym during your lunch break. A quick walk around the block can often help settle your mind if things get a bit much. If time permits, do this regularly. A change of scenery can help to brighten your outlook. Tip: If you feel like you’ve let yourself down by not exercising enough, just remind yourself that any exercise is always better than no exercise at all. Along with physical exercise, the stress relief benefits of mindful activities such as yoga, meditation and Tai Chi are well known. Even a simple controlled breathing technique can help stress management in the workplace. Tip: Consider asking your organisation to host a workshop or training session that coincides with World Mental Health Day and R U OK Day, so that everyone benefits from new stress relief techniques. One of the more insidious effects of workplace stress is the way it can follow us home. Long working hours affect how much time you spend with the people you love. Instead of just flaking out on the couch, or in front of the TV, plan for time with friends and family. Get tickets to an event or revisit a hobby and organise your next holiday so you have more time and relaxing to look forward to. Tip: Not every holiday needs to be a grand excursion. A simple weekend getaway or even a day-trip can reset your mind and help you deal with stress at work. Unless your job specifically requires you to be on call, simply turn off or don’t check your work email after hours. Set boundaries for yourself and others, including during work hours. There is nothing wrong with making it clear when you’re in work mode and when you’re not. Having downtime even at work is an integral part of dealing with work-related stress. Tip: Consider making one day a week a device-free evening, and spend quality time with friends and family. While we’re all guilty of staying up too late on a school night, making a conscious effort to stick to a regular bed time will help give you the quality sleep needed to better deal with stress at work. Going to bed with your mind still wired isn’t conducive to healthy sleep. Set yourself a switch-off time in the evening after which you don’t use your devices. Tip: Reading in bed before sleep isn’t just relaxing. There is much evidence to suggest that it has many other benefits, from making you a better communicator to improving memory. Workplace stress is typically the result of more than one thing. The starting point to recognising and successfully managing all work stress could be as simple as writing down the problem. Although you might feel you don’t want to burden others with your problems, talking it through with someone you trust can help provide a new perspective and allow you to handle stress at work better. Many organisations also provide access to an employee assistance program (EAP). Don’t feel like you can’t take advantage of such a service – after all, that’s what it’s for. Tip: Don’t bottle it up. Letting things simmer until they reach boiling point is a guaranteed way to fire up your stress levels.